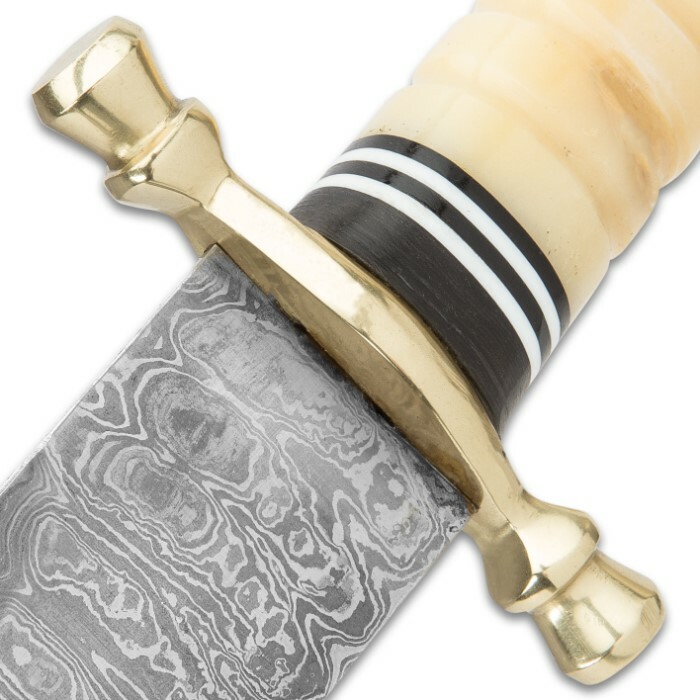 This ornate sword, featuring a premium bone handle and a hefty 5mm-thick Damascus steel blade, is equipped with a heavy blood groove. The massive blade is heat forged and hand sharpened. 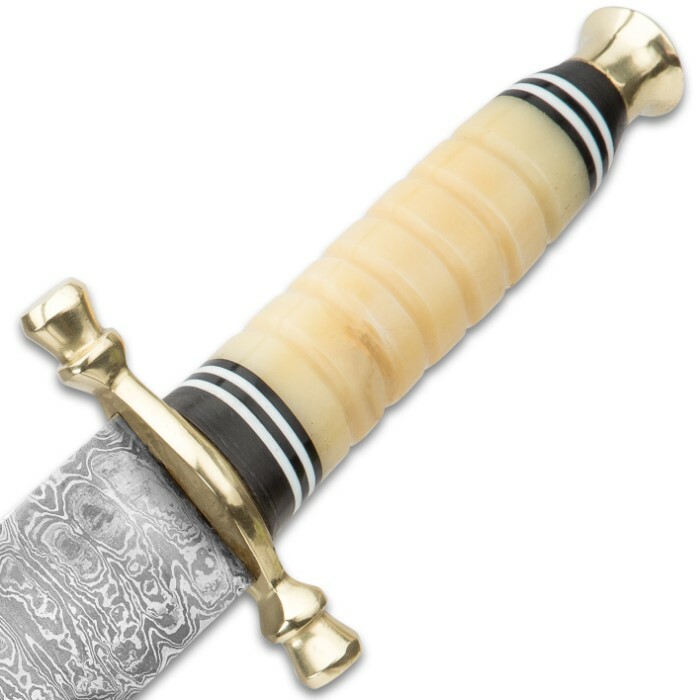 The premium bone handle is carved and polished to a smooth, glossy finish with a decorative spiral design and inlaid heartwood spacers. The heavy, solid brass guard and pommel completes the sword. Store and carry it in the included leather sheath. 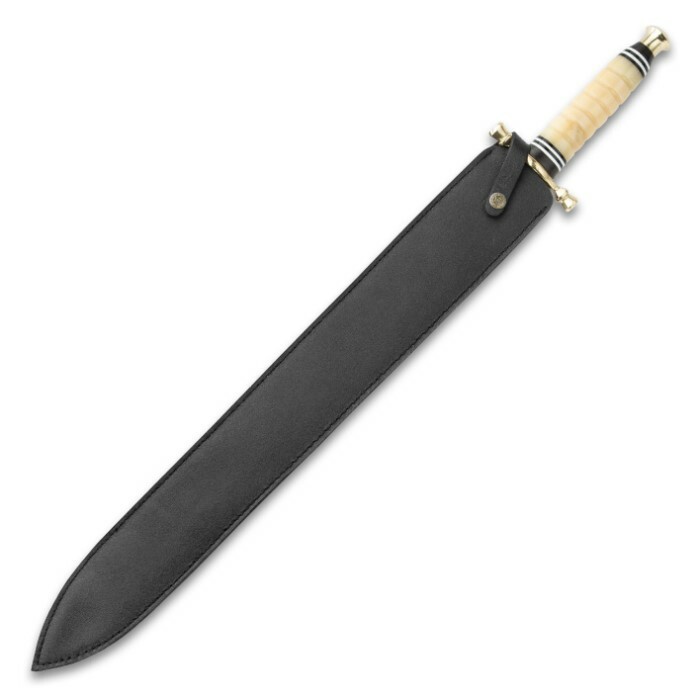 this sword was put on a high horse, it came in with the blade being warped and the edge was wave from hilt to tip the bone is weak and it was miss shaped and felt unnatural in the hand. 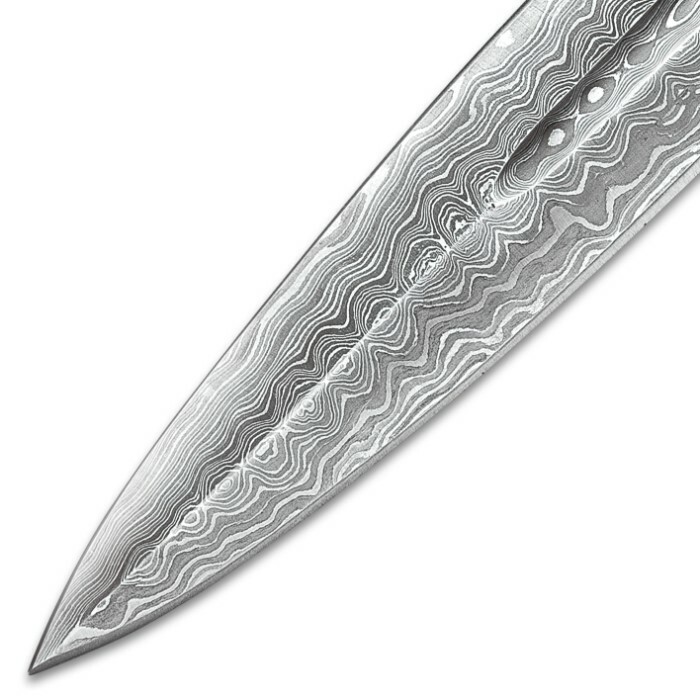 the tang of the blade is just welded rod about 5mm in width and, if you know what you're doing you can make it a good blade that would be worth it the blade its self is of decent but you would be better off buying a blank slab of Damascus. 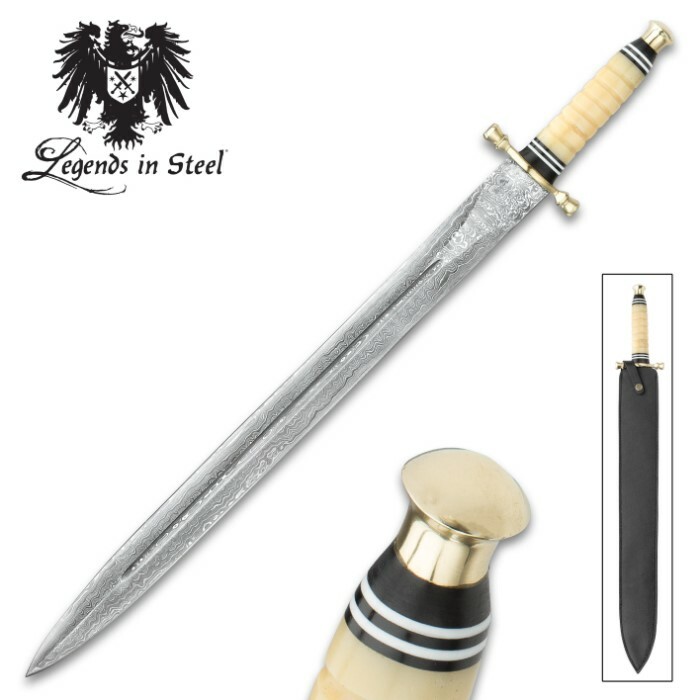 I received the Legends in Steel Damascus sword. The sword is made fairly well. However the blade is not 5mm thick as advertised.